Callan Green, senior social media specialist at Sony Electronics, never thought she would want a pair of leather pants. It was the fall of 2011 and she was discovering firsthand the power of Pinterest to drive sales. The image-based, pinboard-sharing social media site launched in March 2010 is now the third-largest social network, behind Facebook and Twitter. 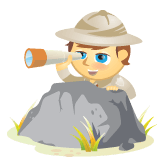 In March 2012, it tallied 2.3 billion page impressions to over 4 million unique visitors a day. Here are 6 things Sony did to make Pinterest work for them. When they began research to find out what people were already pinning about Sony, they found a nascent community that was pinning not only Sony products, but also ads, logos, pictures taken with their Sony cameras and all manner of creative expression related to the brand. Launching a brand page seemed like a natural extension. 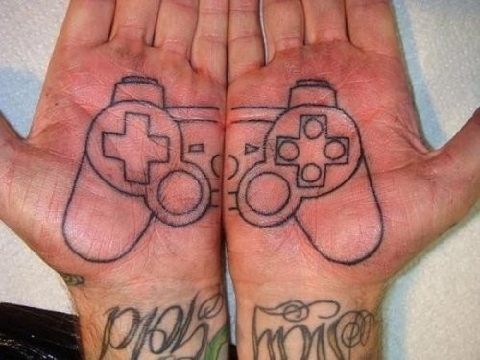 Fans were already pinning a wide array of images related to the Sony brand. But before starting to think about driving sales or building the community, they put in three months of preparation planning and populating about 10 boards with visually appealing content—at first mostly repins of what others were already sharing. When they felt they had a solid base of content, they launched the Pinterest Sony brand page both internally and externally at the same time, taking advantage of their biggest base of Sony fans—their employees—with an internal contest. “We have so many Sony fans that are already at our fingertips, we wanted to get them involved from the very start. A lot of companies do this backwards, thinking of their employees last,” said Green. The contest encouraged employees to check out and follow the Sony boards and to create a board of their own about what Sony meant to them. Participation was better than expected, with several hundred employees requesting Pinterest invites and generating a slew of content that Sony was able to repin on the brand board. The team also reached out to the Corporate Communications team. “They’ve been really helpful in sending us content for pins and creating content for us,” said Green. The key to generating internal support is to give feedback about their contributions, letting them know what is working and what isn’t. “More often than not, their ideas have worked and they get very excited and want to contribute more,” she said. Company buzz from the contest also helped generate support internally to get the Pin It button on the Sony Store website within a few weeks of launching the board. At the time, the site did not have any social plugins. A Tweet This button was subsequently added. Sony was an early adopter of the Pin It button. “The excitement about Pinterest got the web team to get really creative and figure out a way to make it work,” said Green. Adding the Pin It button increased the number of pins from the Sony site about tenfold over what it had been before. To craft the Sony Pinterest presence, the team created a mix of lifestyle and fun pages interspersed with commercial product pages. Boards featuring retro Sony products and ads were designed to appeal to fans of the brand, as was the Sony Art board highlighting art created with Sony products or featuring the brand logo. The team also built boards to stimulate conversation with the wider, non-techie community, such as Sony Artist Style, a fashion board of Sony recording artists, and Rooms We’d Love to Live In, where Sony products take over. The board features pictures of stunning places users would like to inhabit. On the commercial side, boards such as Brand New Sony Products and Sony on Sale provide direct links to the Sony store. Sony created its first content specifically for Pinterest on the Sony Art board, bringing in a photographer and art director to create the image of Sony cameras arranged in a heart shape to give the Pinterest community something they couldn’t find anywhere else. Reaction was positive, generating repins, likes and comments. 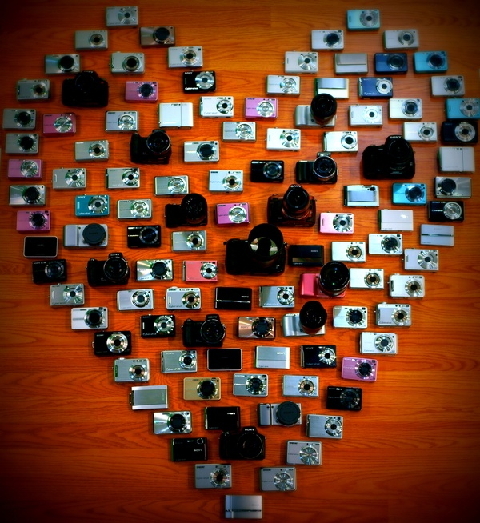 Collage of Sony cameras created exclusively for Pinterest. The Sony on Sale board also offers Pin Deals, where an exclusive Pinterest offer is unlocked once the deal gets repinned 20 times. The research and preparation is paying off for Sony. “Month over month, we continue to see an increase in traffic from Pinterest back to our site,” said Green. In mid-May 2012, there had been an 800% increase in traffic from Pinterest to the Sony Store since before launching the brand page. In addition, the store’s Pin It button has received more than 10 times the number of clicks than the Tweet This button. Although a hard ROI is difficult to measure at this point, Sony management sees investing time in the platform as a good use of resources and is willing to see where it goes. The main challenge, according to Green, is that there is currently not an easy way on Pinterest to find followers. “It’s very hard to get eyeballs on Pinterest,” she said. Currently the team is taking advantage of tools like Pinreach and Curalate to help monitor their brand, but the most effective tactic so far to drive users to the Pinterest page has been to get the message out on other media. Sony has posted on their other social platforms, used email blasts and media releases, written about it on their own blog and reached out to other bloggers in an effort to find followers. 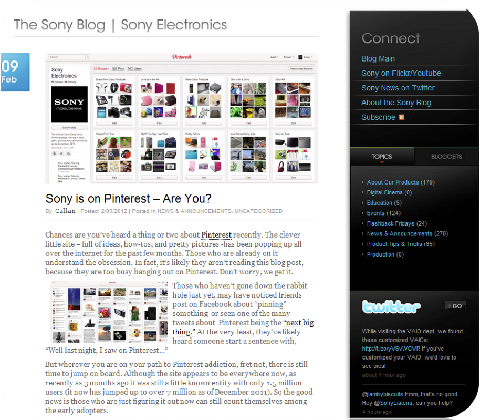 Sony officially launched the Pinterest page with a blog post in February 2012. The Sony team was careful to balance the promotional pages with fun content, but Green’s biggest surprise has been seeing where the most engagement has come from. “The Brand New Product board, where we’re driving the most sales from … is consistently our most popular engagement board. Which proves to me that people definitely want the fun and the fluff and the brand stuff, but at the end of the day, people on Pinterest do want products, they want to pin products and they want to buy products. There’s room for both kinds of strategy,” she explains. What do you think? Is your brand on Pinterest? What can you do to develop and engage a Pinterest following? Leave your questions and comments in the box below.